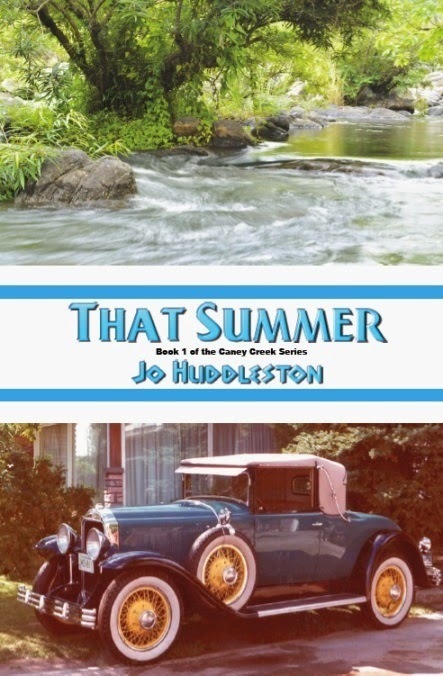 Jo Huddleston, whom I interviewed on May 22 has graciously offered one Kindle copy of her book Wait For Me. I will be doing the giveaway as part of my blog launch. 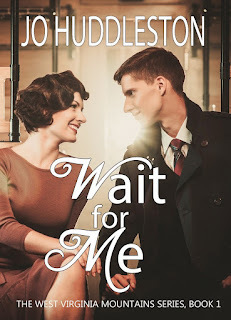 This Southern Fiction writer's books look sweet as pecan pie So don't miss out on your chance to win a copy of her newest release, Wait For Me. Leave a comment either here or on her fun Writers On Reading interview post before 5:00 p.m. CDT on June 15 to enter and one entrant will be randomly selected. Draw will be held June 15 and is limited to US residents; entrants must be 18 or older. For further details see my Disclaimer page. Happy reading! 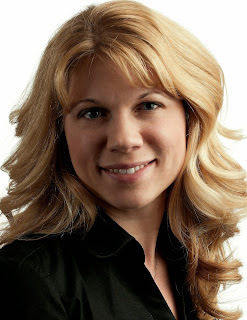 Writers On Reading Blog Launch: Book Giveaway Drawing---Angie Brashear's Of The Persecuted! So you can see that, while as her editor I might be a bit biased, I'm not alone in my enjoyment of this fantasy! Don't miss out. Leave a comment before 5:00 p.m. CDT on June 14 to enter. Draw will be held June 14 and is limited to US residents; entrants must be 18 or older. For further details see my Disclaimer page. Happy reading! A fantasy romance inspired by the Christian worldview. And if you've already read this book, be sure to check out the next installment in the Legends of the Woodlands: Of The Coldblooded coming soon! Morgan, welcome to Writers on Reading! Your books look like fantastic adventures! Your most recent novel, Heir of Hope, the third book in your critically acclaimed Follower of the Word series released just over a month ago (April 21, 2015). You mentioned loving to read, particularly fantasy and historical books—no surprise there. I can see both of those suit your themes! But this leaves me curious, do you read during the months you spend writing a book, or as a fantasy writer, does venturing into other books draw you too deeply out of your world, into other realms? If you do read while you’re crafting a novel, do you find it more fun/less distracting to read other genres? What did you read while working on this book? Hi Deirdre, first, thank you for inviting me here. Yes, I love to read! However, when I am working on a novel, I don’t read in my genre. I find that I start comparing my book with the one I am reading, and that doesn’t help me at all. So I usually read something besides fantasy. While writing Heir of Hope, I read FiveDays in Skye by Carla Laureano, a contemporary romance, and Born of Persuasion by Jessica Dotta, a gothic regency novel. Both quite different from the epic fantasy I was working on! Yes, quiet different! Which leads me to my next question: what was the most out-of-character book you’ve recently read and what led to your choice? Five Days in Skye by Carla Laureano. I read the first book in her fantasy series, Oath of the Brotherhood, and saw she had also written a contemporary romance. I confess the only reason I initially picked it up was because she wrote it and it took place in Scotland (one of the many places I hope to visit someday). It was fantastic! I could see, smell, and feel Scotland! And the characters were great too. So, now I can say I’ve read a contemporary romance. As a writer, you should know better, but as a reader, you know we all do it…so, when did you last “judge a book by the cover”? How did that work out? Ok, I have judged before. I was given A Star Curiously Singing by Kerry Nietz to read for review, and the cover did not capture me. (Another confession, most science fiction covers don’t. That’s just me). But the story inside blew me away. It’s about our world in a not-too-distant future where Islam is the dominant religion of the world. Sandfly is a servant to one of the houses and is sent up to a space station to fix a robot that has gone crazy. There he discovers that all of creation sings for the creator. I don’t want to give away more than that. I highly recommend this novel and consider it one of my favorite science fiction titles. Wow. Sounds like a really good book. So, what was the last book you absolutely couldn't put down? Why? Jane Eyre. I read it when I was a teenager and didn’t think much of it. Then I came back to it and found so many things I could relate to. I resonated with the struggle Jane had between her following her heart and her faith. I think I enjoyed Jane Eyre more as an adult, because I have experienced more now than I had as a teen. Did a book recently make you laugh/cry/shiver? Is it cheating to say my own? I once read that if you the author are not moved by your own story, then the reader will not be moved either. 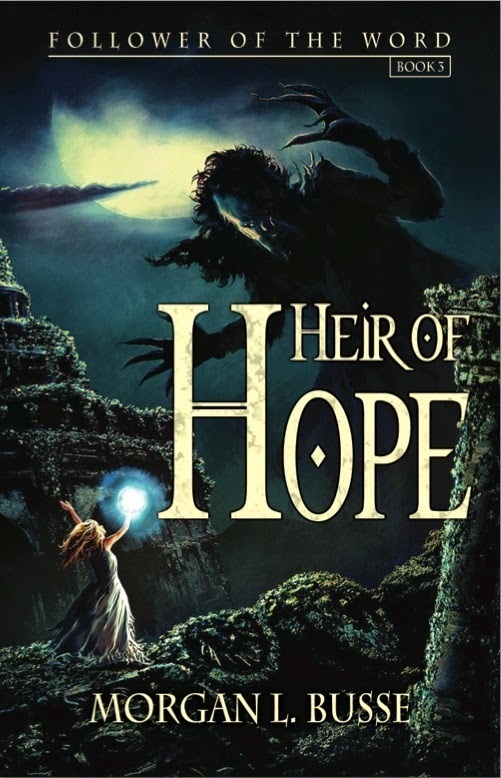 I cried during a couple of the scenes in Heir of Hope. Readers have contacted me and said the same scenes moved them. The last few books that made me laugh were Rick Riordan’s The Heroes of Olympus. Along with reading adult fiction, I try to keep up with what my kids are reading, partly so I know what they are reading and so we can talk about what they read. Rick really captures the teen spirit in his books, and their humor. As someone who has worked with youth for many years, I enjoy his humor and usually find myself chuckling through his books. Oh yes! I always had my nose stuck in a book and broke the record at my elementary school for the most books read in one year. I read everything I could get my hands on (even encyclopedias). I read all the Black Stallion books, Nancy Drew, Lord of the Rings, and anything else I could find. I volunteered at my school library, which gave me access to even more books! Apparently, reading is in my genes, because you can find my kids lounging on couches or on their beds with a book or a Kindle in hand most days. What is on your to-read list? When I started writing, my reading time diminished, so my TBR list has grown. Since I am between writing deadlines, I am catching up on all of my speculative fiction. I’m in the middle of Orphan’s Song by Gillian Bronte Adams; hope to start Of the Persecuted by Angie Brashear and A Time to Die by Nadine Brandes. Then I have a whole slew of historicals waiting for me when I start working on my next rough draft, and I can’t wait for the second book in Serena Chase’s TheSeahorse Legacy! Looks like you’ve got some great reading ahead of you this summer! I know what you mean by the to-read list growing—mine grows more rapidly with every interview! Eeks! Thanks for visiting, Morgan. 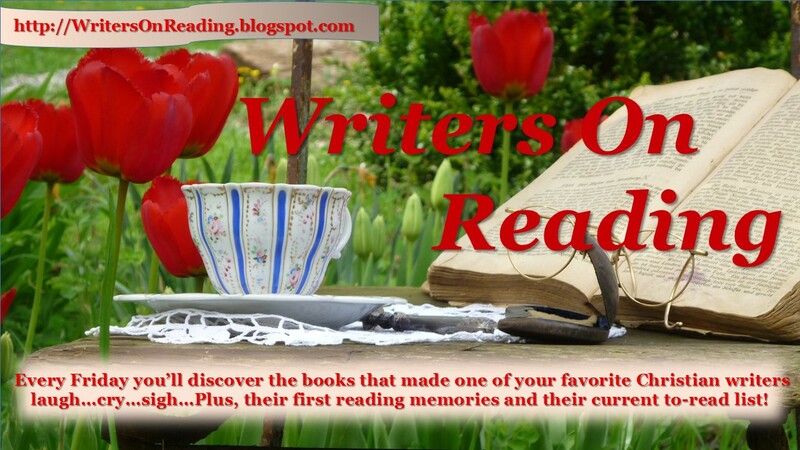 I greatly enjoyed getting to know more about you as a reader, and I bet everyone else did to. 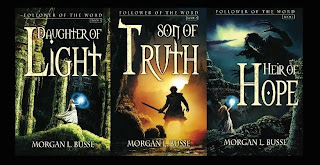 Folks, you can continue to connect with Morgan Busse, and find out more about her books and upcoming releases, at the following links. And, guess what, folks? Angie Brashear has generously offered a Kindle copy of Of The Persecuted to accompany my blog launch giveaways. 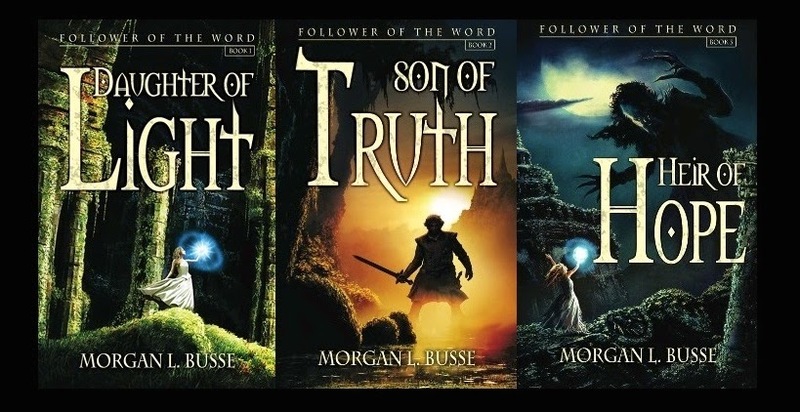 So leave a comment for Morgan and have a chance to win the next book on her reading list. I'll be doing the drawing on June 14, check out my upcoming post for details. Make sure you're entered and you can read Of The Persecuted right alongside Morgan! Just a quick head's-up. Last Friday's guest, Jo Huddleston, graciously offered a Kindle copy of her book Wait For Me. I'll be arranging the giveaway along with my own fun plans for WritersOnReading blog launch party next weekend. Stay tuned! Jo, welcome to Writers on Reading. Your Southern Romances look sweet as pecan pie! Southern Historical Romance—hmmm…there’s a lot of choices there. As a reader, do you most often seek Southern books? Romances? Historicals? How often do you find all three neatly tied together? I read a lot of historicals that also have a romance element. Some books out there have all three elements—Southern, historical romance. I enjoy reading books set in the south, but I also read books with many other locales as their setting. The cover is the first thing we are privileged to see—online and on bookstore shelves. So, of course we get that first impression from the cover. My favorite getting-away-from-it-all place is the beach. Whenever I see a cover with a beach scene I know I’m going to like the book and I always do. Your most recent novel, Wait for Me, released in March. I’m curious, do you read during the months you spend writing a book or is it either/or for you? If so, what did you read while working on this book? I read during the months I spend writing a book. Immersing myself in a good novel helps me to lower the intensity level of writing. While I wrote Wait for Me, I read Amish, historical romance, World War II romance, and Christian nonfiction books—a variety of genres. Did a book recently make you laugh or cry? I recently read Chapel Springs Revival by Ane Mulligan—made me laugh. I bet it it did! She has a grand sense of humor. So, now what is on your to-read list? In FireflyValley by Amanda Cabot, historical romance, and Through Waters Deep by Sarah Sundin, World War II historical romance. Looks like great reading ahead for you. Thanks for visiting, Jo! It was fun to get to know more about you and your reading habits. Jo Huddleston is a multi-published author of books, articles, and short stories. 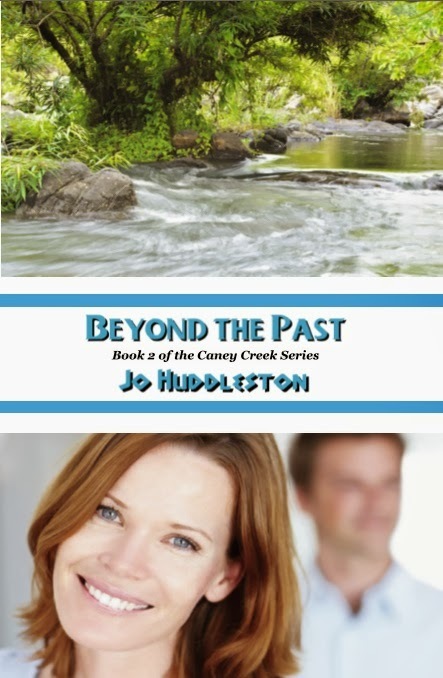 Her debut novels in the Caney Creek Series and her latest book, Wait for Me, are sweet Southern historical romances. 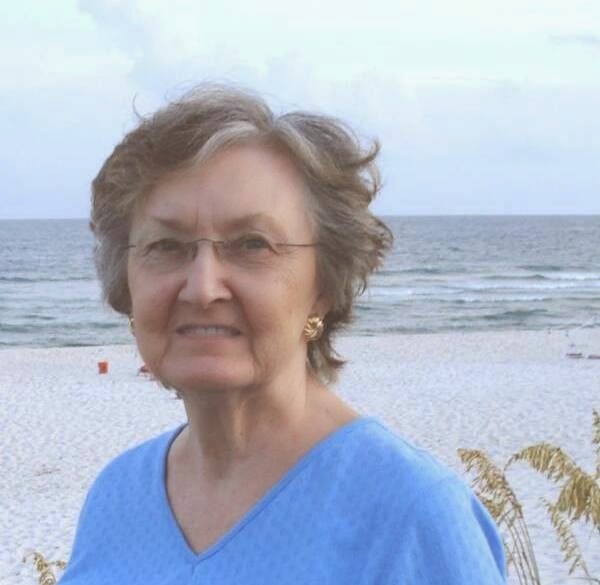 She is a member of ACFW, the Literary Hall of Fame at Lincoln Memorial University (TN), and holds a M.Ed. degree from Mississippi State University. Jo lives in the US Southeast with her husband, near their two grown children and four grandchildren. 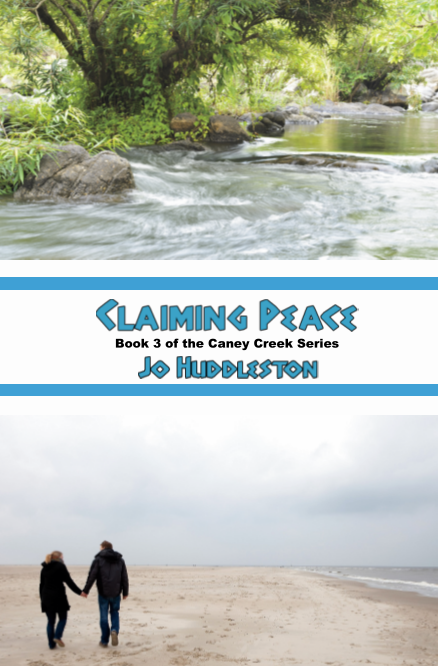 Visit Jo at www.johuddleston.com. James, welcome to Writers on Reading! I have to say I love how your book covers speak for themselves. Looking at them, a reader knows exactly what to expect. I can’t wait to find out if that’s what I can expect from this interview! So as a reader, do you most often seek your genre or something lighter? I do read in my genre. But, I read across many different areas. First, I have a lot of writer friends and I try to read their books, whatever the genre. Then, my wife suggests books she has read that she thinks I might enjoy. She believes I can learn from reading some romance books, so I do. She is a power reader, consuming 200 books or more a year. She is a power reader! But I bet she can make some great recommendations. So, what was the most out-of-character book you’ve recently read and what led to your choice? Recently, I read a YA book by Lira Brannon. I rarely read YA (although my youngest daughter writes in that genre), but this was given to me by a friend. It was excellent. A Different Kind of Cheerleader by Lira Brannon would be a good recommendation for any YA. We’ll have to keep that one in mind. As a writer, you should know better, but as a reader, you know we all do it…so when did you last “judge a book by the cover”? How did it work out? The cover of The Cana Mystery, by David Beckett was very good, and it had a nice seal for An Independent Publisher Book Award. That should be good, right? And the plot was good. But it was so poorly edited I had to force myself to continue reading. Also for every meal the characters ate, the reader was subjected to the menu first in a different foreign language and then in English. I felt the author was trying to impress me that he knew many foreign languages. It took away from the book. It was boring. And the editing was atrocious. Glad I didn’t edit that one! I’d be blushing. I hear grumblings every now and again, about how hard it is for men today to find decent reading. Obviously, as a writer, you are doing a great job filling this void. But as a reader, how do you feel about this? Aside from your books, what would you recommend for men looking for tense page-turners without gratuitous elements? At the top of my list would be David Baldacci. Then, I like the books of Stephen Woodfin and Caleb Pirtle III. And Steve Berry writes great books without gratuitous elements. 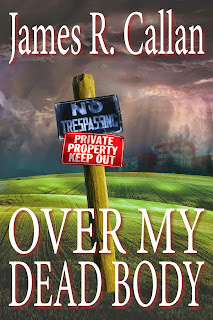 Your most recent novel, Over MyDead Body, released last week (and has already garnered many five-star reviews!). It is rather timely focused on a great topic of today. I imagine it took a lot of research into people’s strong feelings. I’m curious, do you have time read during the months you spend writing a book or is it either/or for you? If so, other than research, what did you read while working on this book? I make time for reading when I am writing, although sometimes, it is only thirty minutes a day. Other than research, my wife insisted I read a romance (not my usual). She was certain I could learn something from those. And of course, she supplied one. I remember reading a book of short stories by Galand Nuchols that was excellent, and a book by SteveBerry. First, as my reading time is limited I can always put a book down. But Stranded: A Novel by Don and Stephanie Prichard kept my interest very well. Because of the circumstances (plot), there was serious danger on every page. I could recommend it. I did like to read. Both my parents were readers. Often, one would read out loud to the other. So I grew up in a home where reading was the normal. The one book I remember well was Twenty Thousand Leagues Under the Sea, by Jules Verne. It probably wasn’t the first, but it is the first one that stands out in my memory. Sounds like your parents gave you an incredible legacy. What is on your to-read list? Steve Berry’s Lincoln Myth and Patriot Threat are waiting for me. If Father Frank from Over My Dead Body were to pick a book from today’s shelves, what do you think it would be? Well, his first pick would be the Bible. But beyond that, he might pick The Hoops Whisperer: On the Court and Insidethe Heads of Basketball’s Best Players. He loves basketball, was a very successful player in college and still likes to shoot some hoops. Oh, that’s wonderful! A perfect pick. James, thanks for visiting and letting us get to know more about you as a reader. 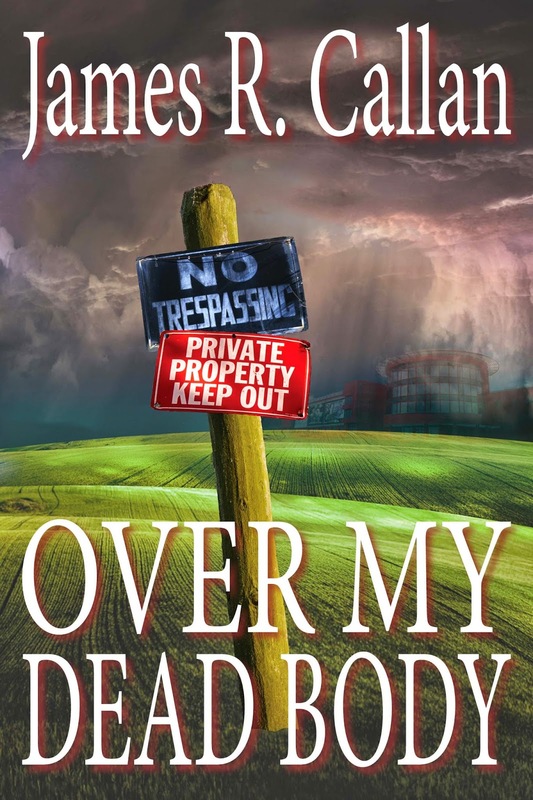 Folks, you can continue to connect with James, and find out more about his books, at the following links. 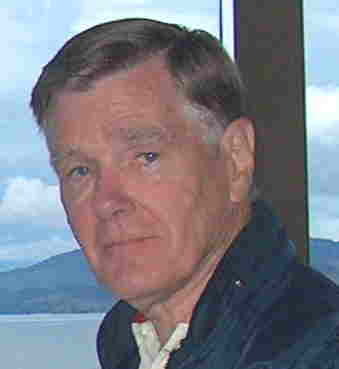 After a successful career in mathematics and computer science, receiving grants from the National Science Foundation and NASA, and being listed in Who’s Who in Computer Science and Two Thousand Notable Americans, James R. Callan turned to his first love—writing. He wrote a monthly column for a national magazine for two years. He has had four nonfiction books published. He now concentrates on his favorite genre, mystery/suspense, with his sixth book releasing in 2015. A large corporation is taking land by eminent domain. Syd Cranzler stands in its way, threatening a court battle. After a heated meeting with the corporation representative, Syd is found dead from an overdose of heart medication. The police call it suicide. Case closed. But Father Frank, Syd’s pastor, and Georgia Peitz, another member of the church, don’t believe Syd committed suicide and begin to look for clues of what really happened. Will this affect Georgia’s romantic interest in the lead detective? When the priest is almost poisoned, they convince the police to investigate further. Immediately, Father Frank becomes the target of rumors and speculation he might have had something to do with Syd’s death. The more clues Father Frank and Georgia uncover, the more danger they find themselves in. 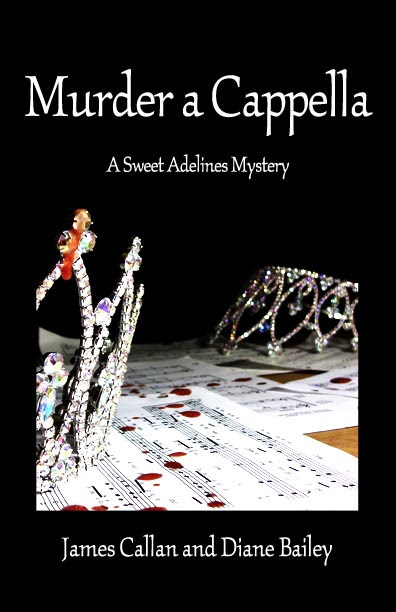 Can they find the real killer before they become victims?